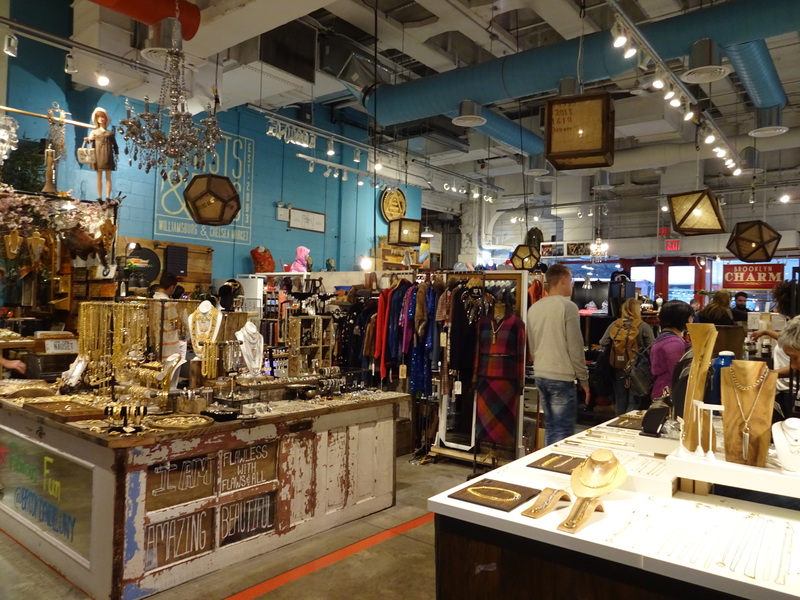 In a previous post, I described some of the things you can do during a visit to Chelsea Market. Today, I want to talk about Artists & Fleas, a great shopping space for art and thoughtful gifts. 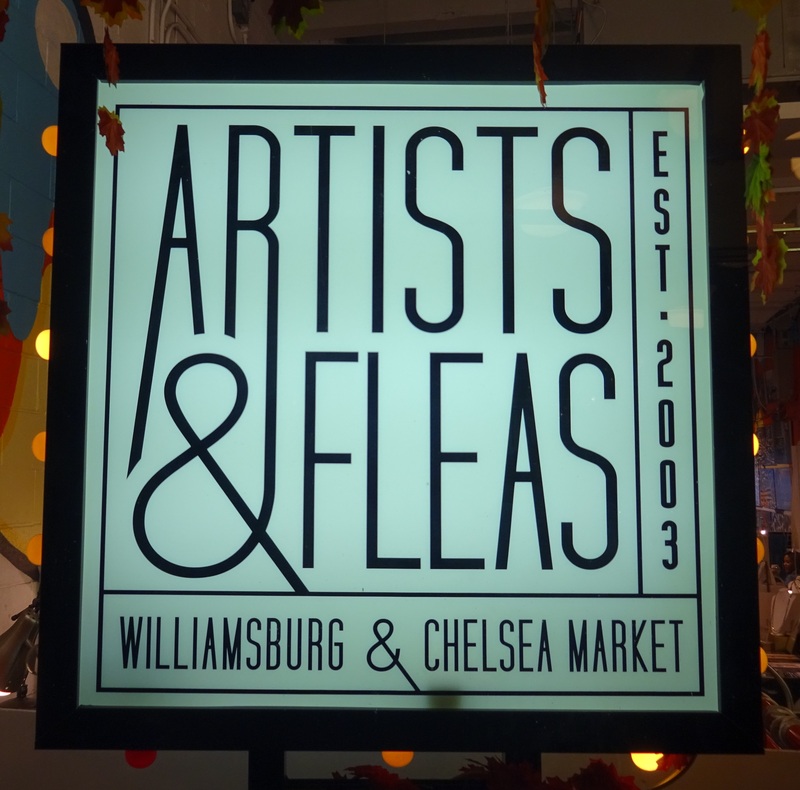 There are two locations for Artists & Fleas in New York City: Chelsea Market and Williamsburg, Brooklyn. 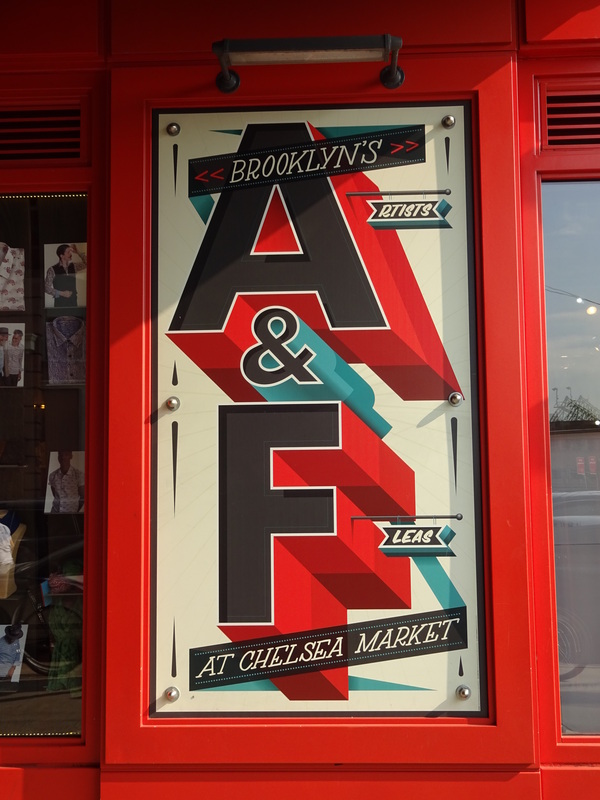 The Chelsea Market location can be accessed from inside the Market or outside the Market at 10th Avenue and 15th Street. What makes Artists & Fleas so enjoyable is that there are numerous vendors, each with their own stall selling their unique art, jewelry, clothing, and other items. There is such variety that everyone can find something that appeals to them. In my most recent visit, I found two vendors’ stalls most appealing. First, there is the jewelry designer, Glitterlimes. 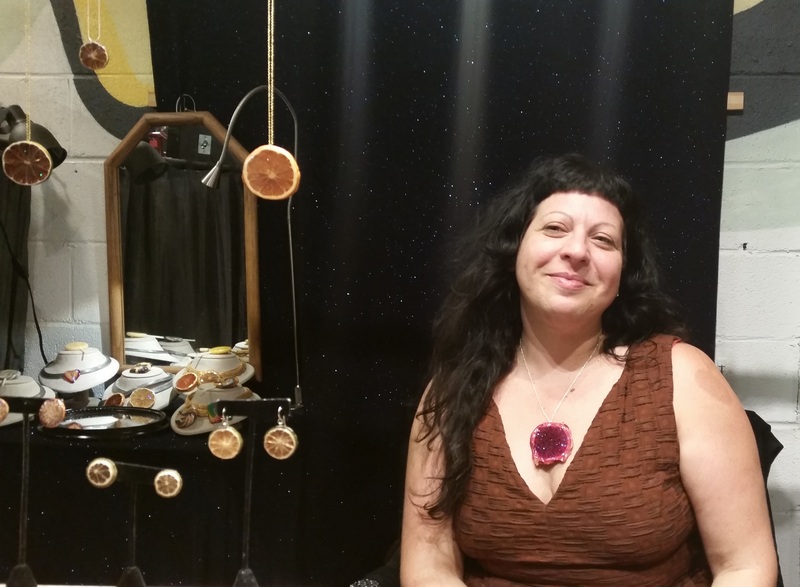 Glitterlimes jewelry is designed by Debbie Tuch. Debbie’s jewelry is unique. 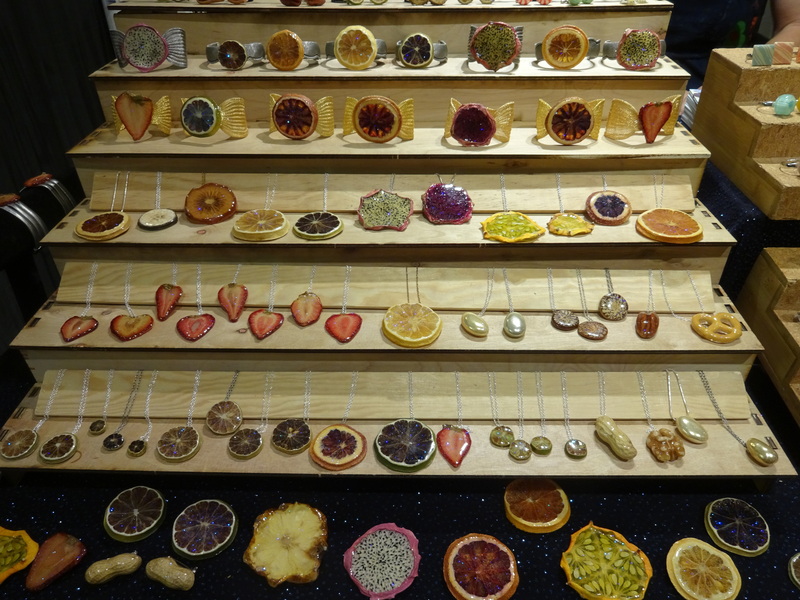 Made from real candy and fruit that Debbie preserves and then treats with a resin, the jewelry immediately grabbed my attention as I walked by the stall. Here are a couple of close-up shots of my favorite pieces. 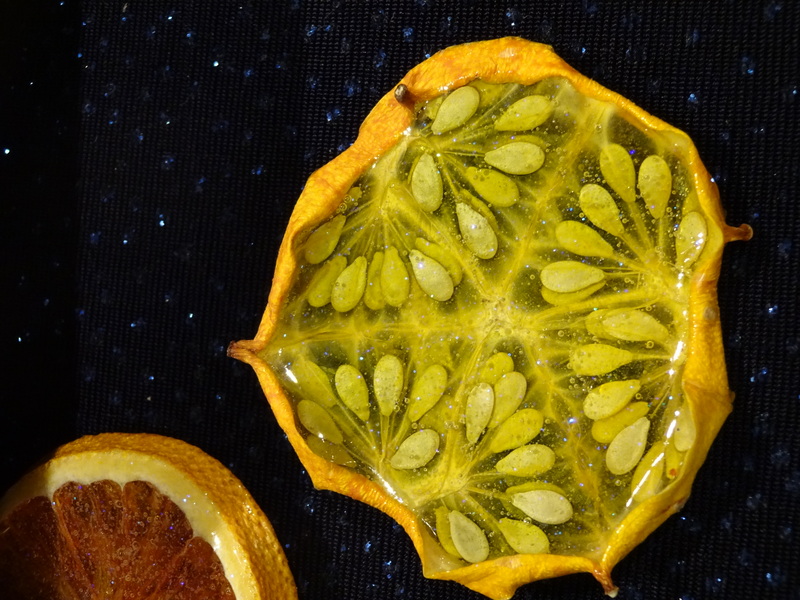 The first one is a brooch made from a slice of Kiwano melon, and the second is a candy bracelet. 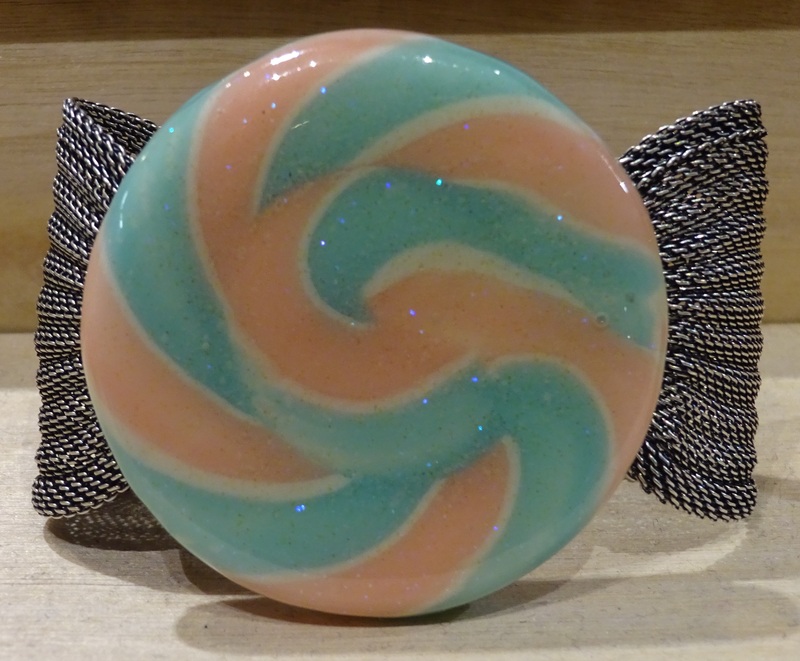 The melon brooch is stylish and striking, a one-of-a-kind piece that would add a special touch to a jacket, dress, or sweater. In contrast, the candy bracelet is pure fun. I was told that the Glitterlimes booth will be gone from the Chelsea Market location soon, but it is coming back in December (just in time for holiday gift shopping!). The other artist/vendor who caught my attention was Kevin Marcell, who makes beautiful silkscreened prints over recycled New York City bicycle maps. 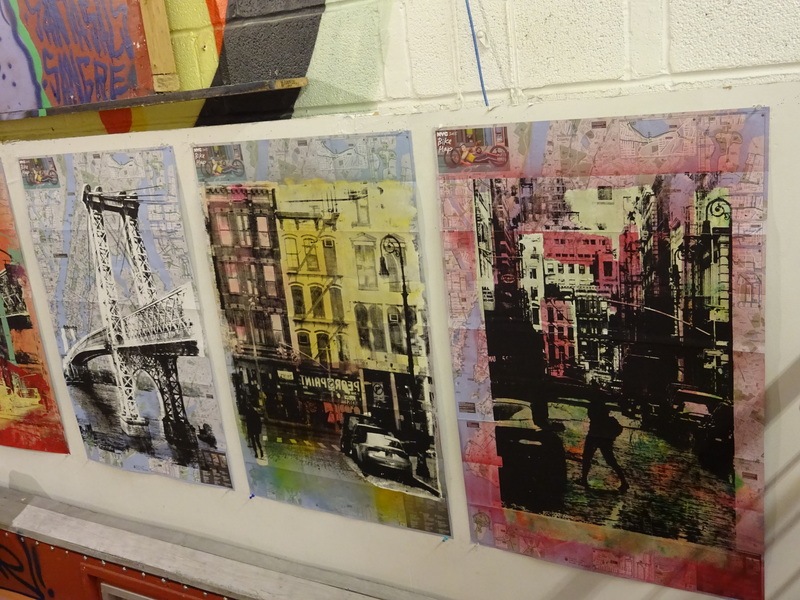 I couldn’t resist–I bought one of the Williamsburg Bridge prints for myself! Artists & Fleas is one of those places where you’ll find something unique every time you visit. 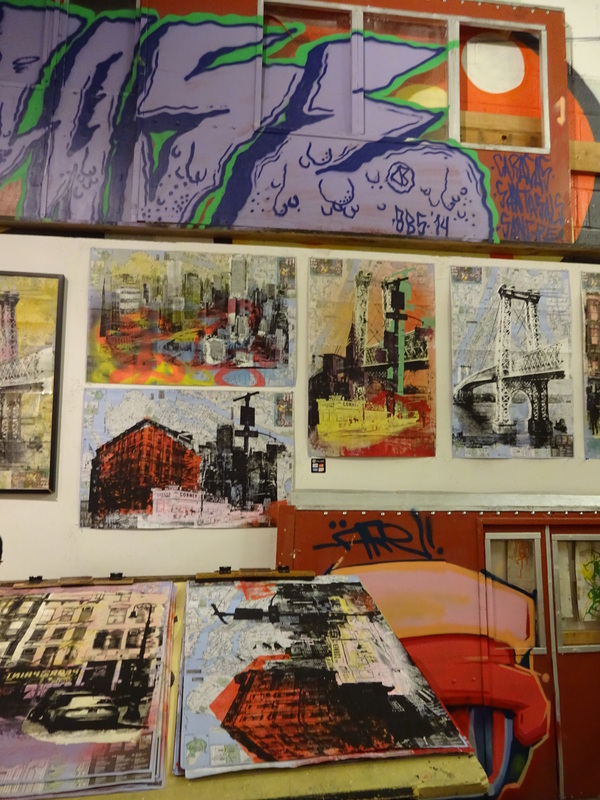 If you are ever at Chelsea Market, check it out.